About Property Management specialises in property management services and is looking for more investment properties in Newstead and surrounding suburbs. Our boutique family run agency has a personable approach and we can guarantee next level service. Newstead is a riverside suburb of the city of Brisbane, Queensland, Australia. 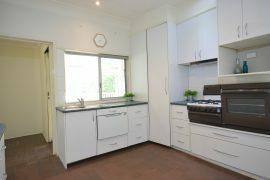 It is situated 3 kilometres north of the Brisbane central business district. The north-west portion of the suburb, centred on Breakfast Creek Road, is predominantly commercial, with the remainder of the suburb now mainly residential. At the last census, over 67% of the households in Newstead consisted of couples without children and a further 20% were single person households. Over 82% of dwellings in the area are units and 15% are stand-alone houses. Newstead is known for trendy cafes and restaurants, upmarket studio apartments and renovated older homes with well-established gardens. It is one of the more expensive suburbs in which to purchase a property in Brisbane, with the mean unit price for the 2006 calendar year reaching $1,400,000. In the 2011 census, Newstead had a population of 836 people; 49.8% female and 50.2% male. The median age of the Newstead population was 36 years of age, 1 year below the Australian median. Children aged under 15 years made up 4.2% of the population and people aged 65 years and over made up 16.5% of the population. 67.8% of people living in Newstead were born in Australia, compared to the national average of 69.8%. The other top responses for country of birth were England 4.4%, New Zealand 3.8%, United States of America 1.9%, South Africa 1.3%, Saudi Arabia 1.1%. 81.6% of people spoke only English at home; the next most popular languages were 1.4% Cantonese, 1.4% Arabic, 0.8% Persian (excluding Dari), 0.8% Italian, 0.8% Spanish. The most common responses for religion in Newstead were No Religion 27.9%, Catholic 25.4%, Anglican 18.4%, Uniting Church 6.6%, and Presbyterian and Reformed 3.1%.